American novelist; best known as author of the novel Little Women and its sequels Little Men and Jo's Boys; occasionally used the pseudonym A. M. Barnard. The following works were published using the pseudonym A. M. Barnard. 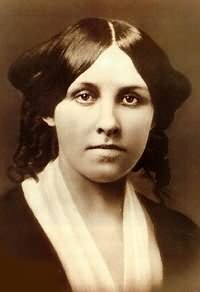 "Alcott, Amos Bronson," in The American Cyclopædia (1879) Louisa May is discussed at the end of this article about her father. "Alcott, Amos Bronson," in Appletons' Cyclopædia of American Biography, New York: D. Appleton and Co. (1900) Louisa May is discussed at the end of this article about her father. This page was last edited on 14 March 2019, at 07:34.